Thank you for using booking system tebole. We released tebole v1.6 on 6th June. Please input Mobile Number when you book restaurant using tebole. To prevent double booking, tebole shows a warning dialog when you made conflicted reservation. That dialog also would appear when you move the existing reservation to the place where conflicted to other reservations. tebole records dates of changing PAX, changing booking date, changing booking time, changing tables, sending confirmation mail and sending SMS you can confirm them afterward. 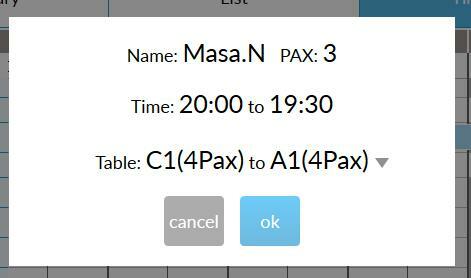 A ‘Section’ label was added to the screen for setting Section of the table setting screen.